I was given this delicious gratin recipe by Italian chef and cookery writer, Valentina Harris, who I met through my involvement in the wonderful Wells Food Festival, which has now become an annual event in England’s smallest city. This gratin comes from Northern Italy, and is perfect as a supper dish in itself with a green salad on the side, but if you really fancy pigging out it’s also a great accompaniment to roast chicken or pork for Sunday lunch. Valentina’s recipe calls for Fontina, an Italian cow’s milk cheese from Piemonte, but if you can’t get hold of this, Valentina recommends Emmenthal, Gruyere or even a good Somerset Cheddar as ideal substitutes. I adore simple dishes such as this, and the gratin was a hit with all the family. I hope you and yours will enjoy it too. Butter a deep ovenproof dish (which is also suitable for stove-top cooking), using a little of the butter. Pour half the stock into the dish and bring to the boil. Remove from the heat and arrange the first layer of potatoes across the bottom of the dish, ensuring they are covered by the stock. Return to the heat and cook gently until the potatoes have cooked and absorbed the stock. Finish with a layer of Fontina cheese and Pancetta, dot with the remaining butter and sprinkle with salt and pepper. 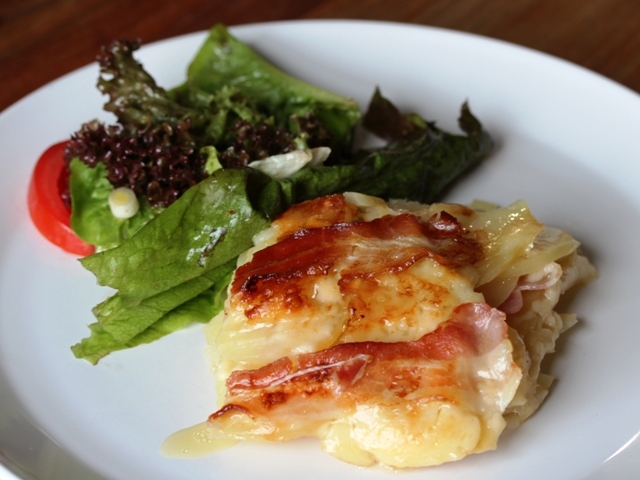 Bake in the oven for 20 minutes or until the top layer of potatoes is cooked and the topping is golden brown. Serve with a simple green salad. Buon appetito! I am entering this Gratin Polesano into the April/May Family Foodies challenge which I co-host with Louisa from Eat Your Veg. The current theme is Ciao Bambino! 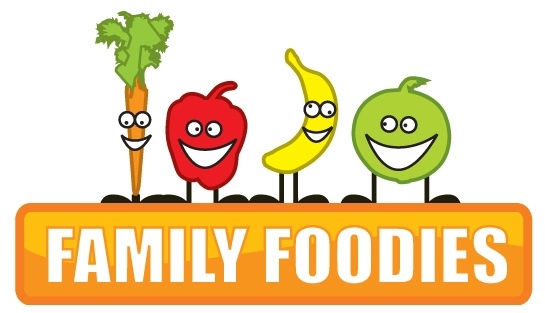 and we are looking for your Italian-inspired family favourites. I can see why this is a hit. I love the flavours in this. 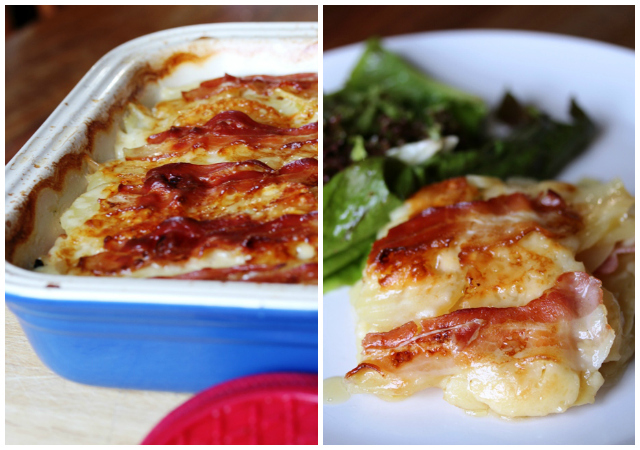 You know I always thought that more cheese and more cream would make a gratin even better, but of course bacon is the missing ultimate ingredient to make the best gratin ever. I had no idea Wells was a city. I almost always find out something interesting when blog hopping. This looks like my kind of food – simple, rustic comfort food. I’d love to meet Valentina Harris, I’ve loved her food for a long time and this dish looks so good. When I reviewed one of her books, she was generous enough to reply to one of my tweets, lovely lady. This is a lovely simple recipe! I used to use Valentina Harris’ cookbook a lot when I lived in Spain about 10 years ago, because a lot of the ingredients she used were similar to ones we had in Spain.